Discount cards… We’ve got ’em! 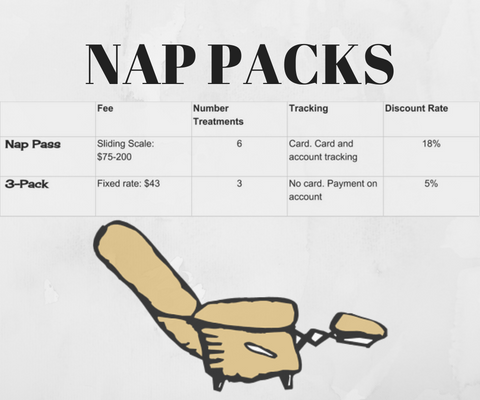 We offer Two Nap Pack Specials: the Nap Pass, and our 3-Pack. Both help you get more acupuncture! Some folks use the special rate as a chance to find out what more frequent acupuncture will do for them. Others just enjoy the discount. It’s up to you — we love seeing you no matter what! 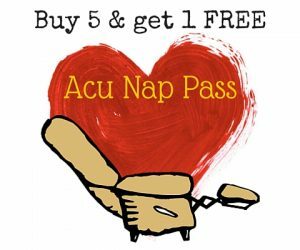 The Nap Pass is our original package special and can be purchased at the clinic’s front desk. How does it work? Pay for 5 treatments, and the 6th one is FREE. We’ll even make you a special card that’s stored at the Self Pay Station. How do you use a Nap Pass? Each time you come in for acupuncture, use the card instead of money. Simply write your treatment date on your Nap Pass card and drop it in the Payment Box along with your Self Pay Form. Easy! And the second pre-pay deal? That’s our 3-Pack. 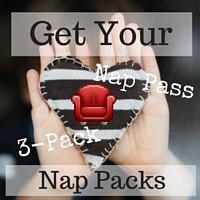 Like the Nap Pass, the 3-Pack can be bought at the front desk. Each 3-Pack is $43. How does a 3-Pack work? 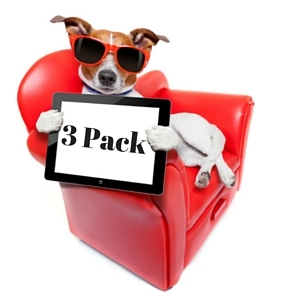 When you purchase your 3-Pack, we credit your clinic account with 3 pre-paid follow-up acupuncture treatments. Each time you come in for acupuncture, you go to the Self Pay Station and fill our your Self Pay Form. Write “3-Pack” in the payment type section of the Self Pay Form then when you’re done filling it out, drop your form in the Payment Box. That’s easy too! What’s the difference between the Nap Packs? With your 3-Pack there’s no card… but they’re just as convenient. Buy as many as you want!! Our discounts help you get the acupuncture you want and need.